Our culture of abundance ensures that most of the fortunate individuals in developed countries expect nothing less than fully-stocked grocery store shelves at all times – so much fresh produce that consumers cannot possibly purchase it all. As consumers, our quest for perfection exacerbates the problem – contributing to vast quantities of wasted fruit in our stores – fruit that often ends up rotting in landfills. Thus, we’ve consumed resources to grow fruit and bring it to market, only to throw it out and expend more resources to haul it to a landfill with additional environmental externalities. Better to work toward changing the system on the front end: changing our overly picky consumer buying habits, altering our expectations of what is stocked in the produce aisle on a 24-hour basis, and putting programs in place to redirect all of this excess before it is too far gone (and for that matter, changing our views on what actually is too far gone). Much of the fruit and vegetables going to waste could be captured and routed to charitable food organizations with some planning. Some could be converted into healthy juices – or frozen in smaller portions – for subsequent distribution to food banks. 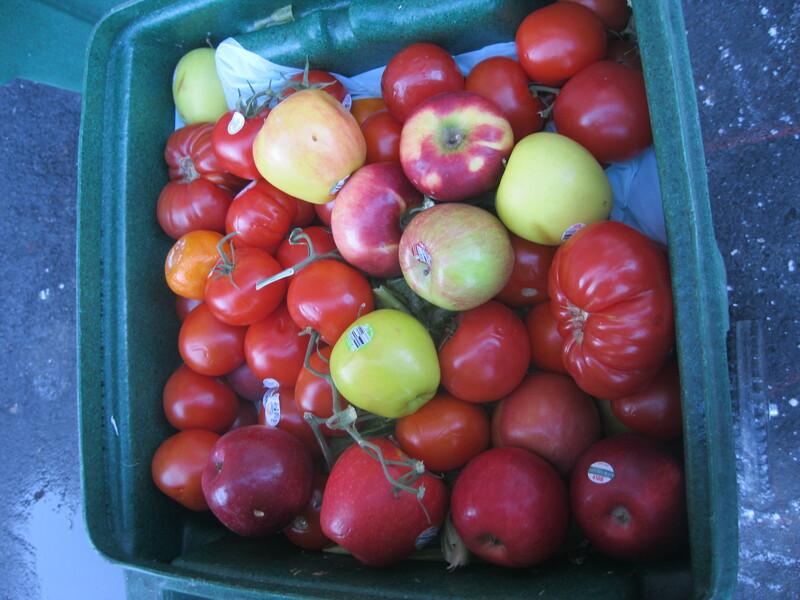 And even if this produce isn’t captured for human consumption, programs can be established to route it for either animal feed or composting – both preferable options to the landfill. There is great potential for programs to capture and redirect excess food at the supermarket level, and such programs benefit all of the stakeholders involved. Next Next post: Chicken, Anyone?